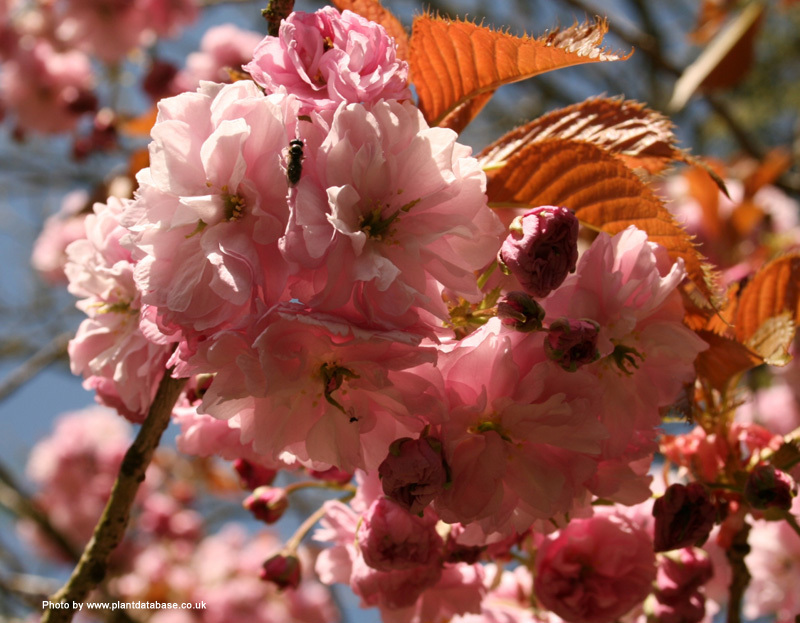 The Pink Perfection cherry tree has one of the longest lasting flowers of all the Japanese Cherry which last for several weeks from early May which is ideal for those people that like to spend some time in their garden and enjoy the view. 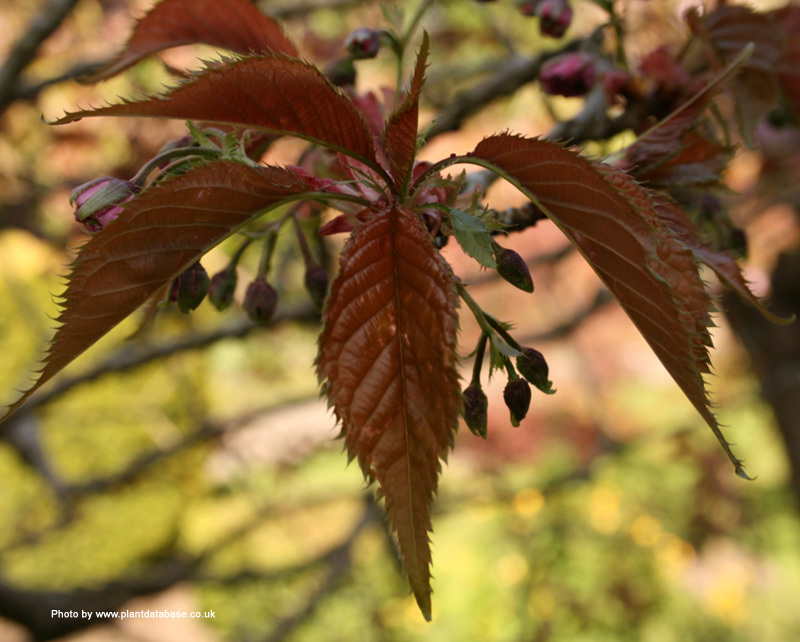 Unlike some other Japanese flowering cherry trees where you sit down expecting the flowers to make an appearance and when you come back from making a cup of tea, they have been and gone in your absence. Pink Perfection is similar in many respects to Kanzan, which is believed to be one of its parents, however, being slower-growing it is well suited to smaller gardens. 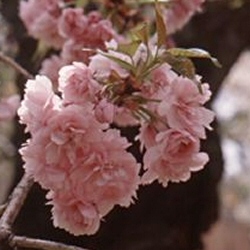 This tree carries double flowers, which are dark pink whilst in bud, opening slightly paler, and are borne in long clusters. Pink Perfection has a broadly oval crown and will reach around 4 metres tall at 10 years old. It may reach a little more after this point but this is purely down to local weather and soil conditions. We make that statement expecting you to prune lightly and not coppice as ultimate heights will vary on your machete hacking abilities. The spread of the Pink Perfection is expected to be around 75% of its ultimate height. 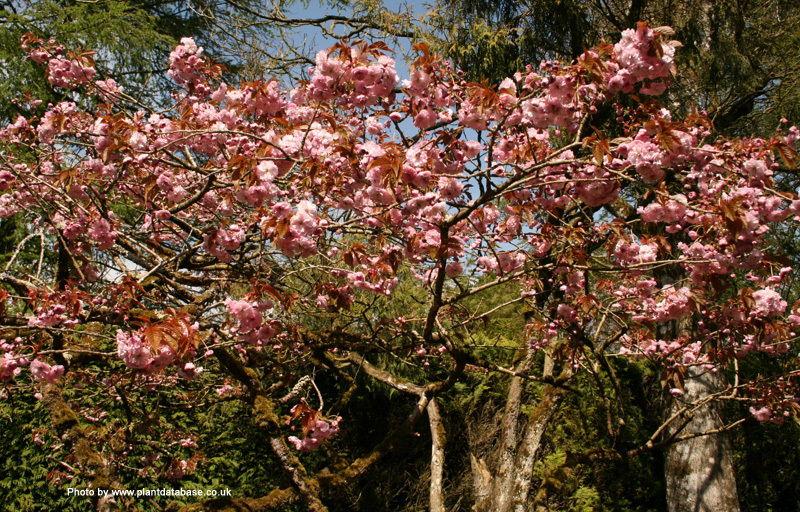 The Pink Perfection Japanese Flowering Cherry tree is considered low maintenance which means you don't have to compliment it all the time, watch what you say around it etc. Autumnal colours are also worth waiting for. Young leaves will be a bronze colour turning green and then to orange-red in the Autumn. The RHS liked this tree so much they gave it the Award Of Garden Merit. Looking at the tree, we think it got in because of its great characteristics and not a "back hander" or "bung" to the judging committee. The Pink Perfection does not need pruning however light pruning will encourage new growth. If you do decide to not prune, then still remove the dead, diseased or crossing over branches. Soil conditions for the Pink Perfection can be from clay to chalk, loam or sand although some organic matter in the hole when planting will help the tree along to a good start. Plant in full sun conditions, those being a place in the garden where there is sun on it for all or nearly all of the day. If you are one of those unfortunate people that experiences a full solar eclipse every day then the Pink Perfection will not be suitable for your garden. You can also expect a visit from NASA or men in white coats to explain your local phenomenon. You can plant the Pink Perfection in exposed or sheltered positions but if you want to make the most of your flowers then we suggest sheltered or using a lot of superglue. This tree is supplied at a height of between 1.5m to 2.4m and in a 5-15L container, which means that the tree can be planted any time of the year. If you are looking for a larger tree, we suggest standing closer to the tree when it arrives as this will make it look a lot bigger.